Do I need a feasibility study? A feasibility study or a feasibility plan, is an assessment into the viability of an idea. In business, we use feasibility studies to decide whether to proceed with a proposed venture. They are used by all types of businesses. Feasibility plans get used as a way to account for and mitigate some of the risks associated with starting a new business or project. The larger and more expensive the proposed business investment, the more a business owner will want to assess as many facets of the market as possible to decrease their risk before they start. Feasibility plans can be expensive. The more complicated a project, the more expensive a feasibility plan is. A feasibility plan will not just assess the market potential for a product, but will also assess things like location, the capacity of your team, and skills needed to enter into a business. Operational/Schedule feasibility: what operational requirements are there? Is the schedule feasible? Will your team be able to complete it given the requirements, what additional resources are required? Financial feasibility: given the market size, technical and operational requirements does the project make monetary sense? By answering these questions in an indepth analysis you can begin to develop a response to the question, is this a feasible business idea? So who buys feasibility studies? Anyone from large real estate developers, to product developers, to mom and pop shops, who need to assess, if there is market for their product or service. How much should a feasibility study cost? The question depends upon the value of the business idea. The larger the business, the more likelihood that something can go wrong, and the bigger the risks, thus the more likely you will want to do a feasibility or even pre-feasibility study. What it comes down to is the bigger the project, the bigger the feasibility study. A factory will require far more details than a new piece of software. Generally, expect to pay upwards of $5,000 per study, with the average being somewhere in the $7,500-$10,000 range for most small products and services. Larger real estate developments and resource based projects, require environmentals and testing, and can easily fetch over $100,000. If you think this is expensive, the question becomes, what does it cost to make a bad or uninformed business decision? This is the reason feasibility studies and plans still play a very important role in business decision making, and why your lender or investor may want one. Is the Business Plan Dead? Not necessarily…. Is the Business Plan Dead? Think again. We keep hearing that the the business plan is dead. We have moved to business model canvasses, pitch deck and other tools. Try telling this to a banker! For the majority of businesses who are looking for financing, a business plan is still a relevant document. Even if you are doing a pitchdeck, business model canvas or other tools of the trade, the act of planning is crucial to the success of the business. For any business you must know your market, you must know your costs, and operational details. Without these, your business has almost zero chance of survival. We also have to remember that many of these other business tools are crafted for industries where the industry and technology change daily. This really is not the case for 80%+ of businesses out there. The reality of our situation is that if you are running a restaurant, salon or are a solopreneur, your business will NOT change that much day to day. You are still in the industry of serving people. Customers have to come first. The technology you use can change, but it is not the service you are delivering. This is why banks, and many financiers still want a business plan. They want you to go though the actions of planning out your business, think of the different situations you will encounter, and how you as an owner will deal with the events. In essence, you are asking them for their money, so how will you guarantee that you are keeping it safe. How will you plan to pay it back and how will you ensure the long-term survival of your venture? Nobody, even most advisors, really like business planning. What we like is people. We want to see those who we work with succeed. It makes us feel good inside. We see the added value of our work and line of service. It gives us credibility and helps to grow our client base. So is a business plan something you do only once to get your funding? For some entrepreneurs, yes. They do their plan, get their money and run their mom and pop operation. Increasingly however, in today’s fast changing business environment, many people find it helpful to do a plan review once a year to help keep them on track. Why Employ a Consultant? Isn’t it cheaper to do it myself? The answer is yes, but a consultant can be objective. We also work across a lot of different industries, and can offer insight that we see across multiple sectors. I cannot tell you the multitude of times that I was able to offer clients insight based on a technology, tool or other trend I saw from my experience in working across multiple industries. The truth is, when you plan businesses for a living, you learn a lot about many different industries. You’d be surprised the value a good consultant can bring. Do I need a business plan? I cannot tell you how often I get this question. Early in my career, I was an avid supporter of Business Plans. Not the business plan itself per se, but the planning process. Planning in itself is crucial to the success of a business-or so I thought. However, over the years I have become more of a cynic. I have seen many well-planned businesses fail. These were businesses where the entrepreneurs wrote business plans, strategic plans, revised, reviewed and planned their hearts out. Some entrepreneurs plan for years before launching, but even the best laid out plan, can fail– and believe me, they do. I have also seen many ideas, developed after intense all-nighters, go on to flourish and sell for seven figures within two years without ever having a single page of a planning document. What is the difference? Why is it that some can survive without a business plan and others seem to live and breathe by their plans? To fully understand this this, we need to take a step back and ask, what has led to this business planning phenomenon? The answer can be found, both in our business culture and our communities. There are parts of the world, where business plans do not exist. Yet in North America, the Business Plan is seen as a crucial component of the business process–and the torment of Entrepreneurs and their Financiers. Years ago, when we wanted to borrow money for a new business, we went to our local bank-the one we had dealt with for years. The bank or lending manager knew you by name. He knew where you lived, your family, your Church and your habits. Further, many people had higher levels of personal savings. These were tapped and used at key moments such as this. One might run a family farm, a general store or small restaurant, but imagine the lack of bureaucratic red tape of the Wild West compared to setting up a business in a large urban city today – from non-existent to a nightmare. As our communities grew, as newcomers entered, as borrowing markets expanded, knowing everyone that we dealt with was harder. What was needed was a rigorous process that would standardize the way we evaluated people and introduce some scientific validity to what had previously been a very personal decision. Enter the business plan, the savior of the Financier and the Entrepreneur. Over the years, particularly since the 1980s, the use of the term business plan has skyrocketed. But who actually needs a business plan? These days, if you are seeking financing of any form, you require one. 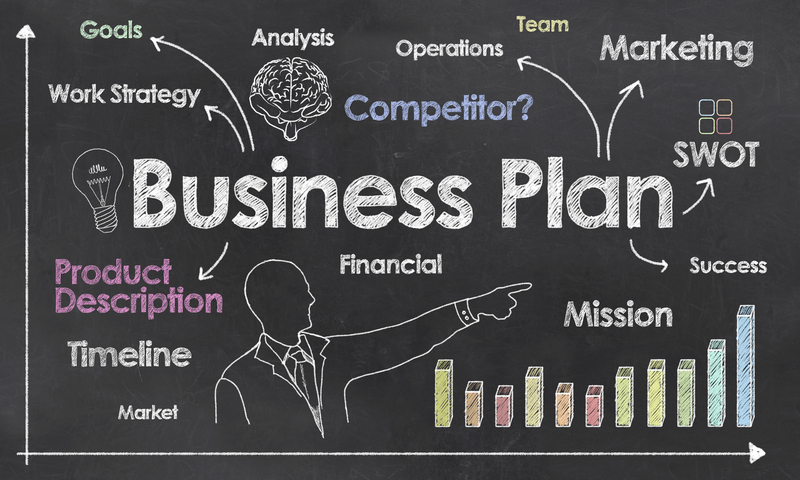 Do you need a business plan to ensure the success of your business? I would say “No”. I would say for some personality types, a business plan is a requirement to ensure that they have thought through their business idea. I would suggest that those entrepreneurs who are rash, those who have entered into risky arrangements in the past and those who are investing personal funds into industries which have high capital costs, would do well to stop and prepare a business planning document. For others, I would say that a business plan is no more than a checklist item to get you investing. This is not to say that all business planning is bad. Rather, like reading literary classics in school, this is a checklist item that you need to get through the system. Some will take pleasure in preparing these, for others the term “business plan” evokes visions of weeks (or months) of pain. There are scores of business planning solutions on the market. Business Plan Pro by Palo Alto software is one of the greatest pieces of entrepreneurship software ever to come out. For those who do not remember or recall life before this program, it really did revolutionize business planning. Tim Berry is a guru in the industry and paying homage to him is an honor. By the same token, Microsoft and Palo Alto also have subscription services that are great for those who suit that personality. Enloop, a recent entry into the market, is also very clear and easy to use. For organizations serving entrepreneurs, we developed SME Gurus – a complete entrepreneurship platform that builds on the business plan by adding goal tracking and accountability. However, the majority of these pieces of software are still difficult—even for me as an accountant and consultant. I enjoyed learning about industries, putting together financials and forecasts, solidifying a marketing plan and watching entrepreneurs’ dreams take flight–but writing the business plan was painful process. I stand back and think how difficult a process it must be for others. I have run across immigrants with great work ethic and a great business idea, but who get stalled in their access to capital because of poor language skills. I have come across others who have trouble with numbers, or others who have such passion and vision in their business idea, that I would say a business plan for them is nothing more than an obstacle. Some things you have to feel, and just know they are going to work. Others, no matter how much you plan—they will never take off. So what is the happy medium? My recommendation is know yourself. Ensure you know your customer. The best way to know them is to ask. Think about the business you want to build and ask yourself, what the crucial steps to getting it done are. If a business plan is part of that for you than do so. If you need financing, you will need a business plan. 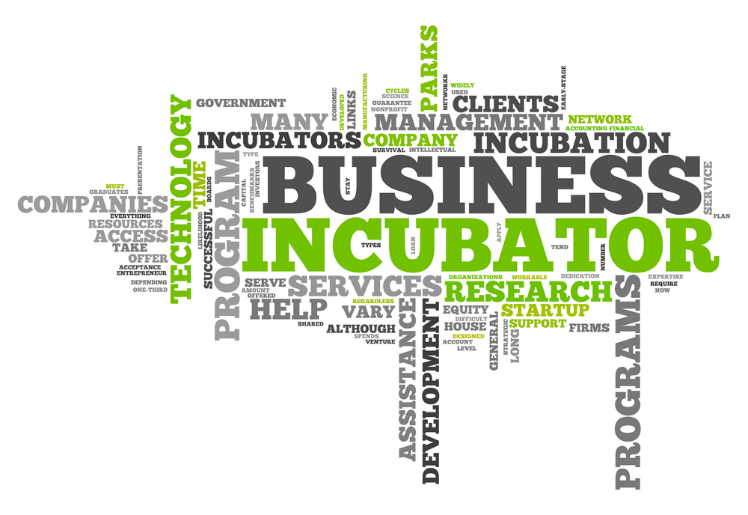 If you are applying to incubators, you will need a business plan and more. So what planning must be done? The only planning that is crucial to a new company is knowing your market and cash flow planning. Understanding who you are selling to and why, and knowing how much cash you have, when payments happen, and how you are going to support yourself and your business is the key to the success of your business. This is because without a steady flow of income you will not survive long enough to figure out your business model. Start with these two key factors, and plan additionally as needed. Remember, until you need to go for that first loan, don’t stress over your business plan. The entire internet could be printed off on 136,000,000,000 sheets of paper (yes 136B). Is It Time To Kill Start-Up Culture? Is It Time to Kill “Start-Up” Culture? Over the last decade, start-up initiatives rule the landscape. From high tech incubators to national initiatives and small business boot camps, the chorus reigns loud and clear: we need to encourage more startups. Small business, the saviour of economic woe, freer of the labour oppressed and solution to every problem of our modern time is the new demi-god and those of us so lucky to serve at its altar, must bear witness to the life-changing effects it has on our lives. Start-up culture is a global movement,focused on encouraging small business development. Its homogeneity is ubiquitous, and its reach all encompassing. It has infiltrated national policy & creates soundbytes for politicians interested in furthering their careers. It exists in nearly every sector, from the not for profit, to banking, but its alter exists in the world of high tech. Leaner, faster, stronger. This is the new mantra of business, and its gods are the high tech millionaires and billionaires, generally under 30, mainly male and very intelligent. Priests serving this deity abound. Cloaked under the auspices of “consultants”, these priests and priestesses of modern technology advise, write, speak and work to develop a culture that is focused on birthing small businesses and getting more people on a path to salvation. I used to be one of its priests. I worked with clients to start-new businesses, get funding and grow as quickly as possible. And I was good at it. I secured millions for clients. I watched young entrepreneurs change their lives over night, build empires and become leaders. It was addictive in many ways, the energy of start-up, the passion, the drive and excitement. I saw the absolute joy that people experienced when they got their funding, when they could see their dreams begin to develop shape and fruition. There was satisfaction that I was helping good people start companies and get funding. There is however, a fallacy in all of this. We have a culture so focused on start-up and we do little or nothing to help people once they have a business. Anyone who has ever run a business can tell you, the hardest thing is not starting a business, the hardest day you will ever have, is when you finally open the doors. This is when the real work begins. Start-up culture is driven and focused on youth. The language it uses, the time frames it operates in, and the adjectives: leaner, faster, stronger, are adjectives of the young, or those that want to be young. The focus is on building a multi-million dollar business as quickly as possible. We focus on maximizing market penetration, and increasing shareholder returns. Our definitions of value are not long-term temporal, they are immediate. The trouble with all of this is we only focus on the successes. We only see the tech millionaire and not the million others that never gain notoriety, fame or fortune. We have not created a start-up culture or system that is sustaining and business strengthening. We have not encouraged the growth of business but rather the proliferation of start-ups. The facts are staggering. Over 90% of tech start-ups fail; 75% fail to pay back investors and many successful tech entrepreneurs have failed once (or many times) before being successful. 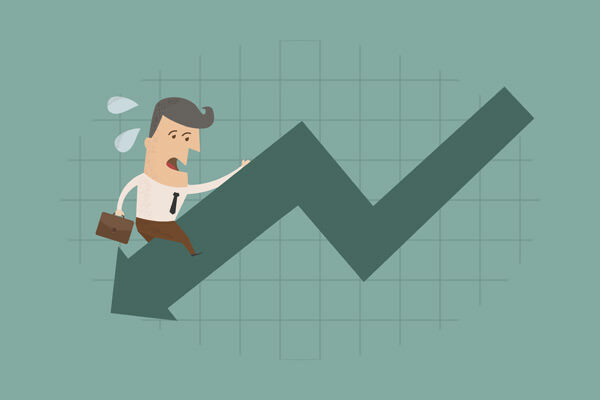 High failure rates with small business is nothing new. Consider that over 75% of restaurants fail within 5 years, nearly 90% within 8 years. Why do they Fail? They do not pay attention to their customers, the quality of their product decreases, and they run into financial/cashflow trouble. This is the same for all small businesses. It is time to stop the start-up culture, and move towards a culture of long-term sustainability, growth and shareholder value that is NOT quarter to quarter, but year to year, and decade over decade. This is real entrepreneurship and community building. Next week, we will look at how start-ups can be successful. I want to confess: I have a secret. One of the things I do in my spare time is peruse Craigs List for enjoyment. You can see humanity at its most vulnerable. It really is a entertaining to read. Craigslist is also a great place to start your entrepreneurial journey. You can pick up odd tasks, jobs, but just watch out for scams! Once in a while (like once a week) you get some really interesting “opportunities”. Today was that day this week, and I just thought this one was too good not to share.It provides a perfect opportunity for someone seeking to earn some extra cash, albeit in kind of a weird way….. If you know of a dock or even something more adventurous where you would like to do the immersion I’m allll ears. The reason I’m offering so much money is that I can’t find any messianic people to help me out here. Again, all you have to do is dunk my noggin and briefly read something that I wrote on the back of a zig zag papers pack. I am 100% serious. Entrepreneurship is about seeing opportunity. For some, they might see an individual, who is a little on the weird side, as an entrepreneur I see an easy way to earn $65. Go out and seek those opportunities today. What Made You Decide to start your own Small Business? I often get asked why I became an entrepreneur? Why did I start my own company? I could answer that I grew up in an entrepreneurial home, with a father who ran his own business for years. I could answer, that the change agent in me did not like working for large corporations and instead wanted to build my own business and make things happen. However, neither of these reflect reality. My answer, much to the surprise of most, is that I became an entrepreneur out of necessity. Throughout my professional career, I found entrepreneurship to be the one constant that I could keep coming back to. I first started working for myself during graduate school as a way to make ends meet. I had worked for nearly 3 years in industry doing market research, proposal writing, financial analysis and marketing and sales. I brought these varied skills to entrepreneurs and started working with green energy companies at the time helping them re-write and re-design marketing materials. After that, I kept doing the occasional business or marketing plan. I was home on maternity leave with my daughter and throughout this, worked on several projects to keep me busy. When my daughter was 6 months old I found out I was pregnant again. This barred any return to work. Within another month, my husband found out that he was losing his job. After the initial shock wore off, we began to think how we were going to manage. Being the industrious type, I immediately began to seek out projects to work on to keep myself busy. 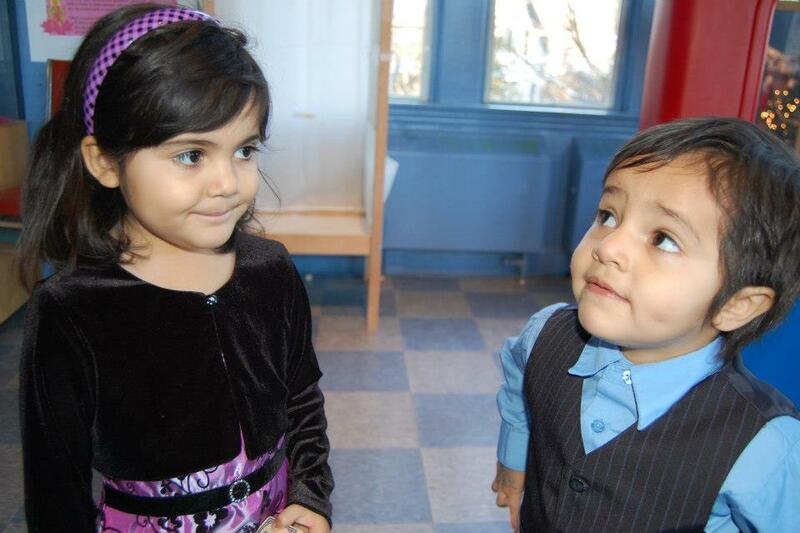 I tried different types of outsourcing and contracting, but time was limited with two kids under 18 months. I found quite a bit of success in writing business plans. Part, education, part experience, and part intuition I could relate to the entrepreneurs I met. I could understand their pain, as I had seen it before in my father and his colleagues understood, what I like to call “the entrepreneur crazy”, fever and passion all in one that these entrepreneurs had for their businesses. I was inspired by their energy and dedication and genuinely loved working with them. At the time, I decided to return to school to improve my financial analysis skills. I pursued a designation in accounting, a designation that focuses on strategy. I returned to work for 18 months as a requirement of the designation, but hated every position I was in. After having worked for myself, I had a difficult time working for anyone else. Perhaps it was a distaste of authority, or as I like to call it of the “inefficiency” of large organizations, but I was not a happy camper during these times. At home, my children were suffering too. They had wonderful caregivers, but they were not mom. I was seeing changes in their behaviour that I did not like. These combined with my own unhappiness, made for a very miserable home life for my poor husband. Night after night of miserable conversations, my husband just said, why don’t you quit. While I was working for others I had continued working on several large consulting projects. It was in these projects that I found my passion again. I took his advice to heart and took the leap. That was four years ago. Since then I have worked with hundreds of entrepreneurs, helping them to define their businesses and their dreams. There is no going back for me now. This is what I love to do, and want to do for the rest of my life. What is your reason? What is your drive and motivation for working on your own? Why do you want to leave it all to begin a consulting career? What will your motivation or dream be? Perhaps like most of us, the decision is not a grand vision or altruistic social purpose but out of necessity, out of life change and a need to learn to fend for ourselves. It seems like all we do is plan. We write business plans, strategic plans, marketing plans, and disaster recovery plans. We plan our businesses to death. In the early days of your business, your need to plan less. Personally, I am a planner by nature. Planning is how I organize my thoughts, how I mitigate my risks and develop my to- do lists. When our businesses are first being developed, we need to focus on the DO, and less on the planning. Yes, you heard me correctly. You need to plan less and DO MORE. Let me explain. This does not mean the abolition of “Planning” but rather it needs to evolve to Growth Planning. As a small business you always need to be in growth mode. This does not mean chasing the aggressive growth of early business days, but it does need to evolve to be focused on implementation and the “how” rather than the “what”. A growth plan, in its purest sense, is a cross between a business plan and a strategic plan. A business that is growth oriented has to evolve with its customers, in needs to be in touch with the market, it has to be aware of trends and the social and environmental impact of its products or services. Most importantly, a business that is not growing is stagnant and not healthy. It is reaching the peak of its life-cycle and beginning its decline. Should businesses be in perpetual growth? Some people may say no. Some experts will tell you that a business where the owner seeks to exit, may begin to think about succession and naturally, as we age we begin a process of seeking to “slow down”. However, think about it from viewpoint of a prospective buyer for your business. Would you rather buy a business that is healthy and growing? Or one that has shown decline over the years leading up to the sale? The answer from this perspective is simple. Focus on the growth, and the rest takes care of itself. The following are what I define to be the 10 Key Components of a Business Growth Plan. a. Mission- this is the “DO” of your organization. What you do, and how you do it. b. Key Success Factors – What do you do well or better than your competitors? c. Key Constraints-What are you limited by? Who are you limited by? What is the financing available? a. Vision Statement-Define where you want to be in 5 years and build a vision for your company around it. b. The Magic Number- What do you want your company to be worth in 3-5 years? How much do you want to make? This is your magic number that you will be working towards. 3. What is Going on In Your Environment and Industry? It is vital to understand what is going on in your industry and how your company fits into it. The following analyses should be conducted to understand how all the pieces fit together. a. SWOT Analysis (Strengths, Weaknesses, Opportunities, Threats). Look inward and outward to your company and industry and judge how you fit. b. Porter’s 5 Forces-This business school classic has staying power for a reason. The five “forces” of Porter identify how you work within the broader industry. It examines your customers, suppliers, competitive rivalry within the industry, the threat of new entrants and the threat of substitutes in the industry for your product or service. It creates a picture of how dependent or independent you can be of industry trends in general. c. PESTLE Analysis (Political, Economic, Social, Technological, Legal and Environmental). This examines the broader trends in your industry, from each of the above contexts and how they can potentially impact what you do. 4. What have others in your field doing? Competitor Innovation Analysis. In the history of your industry, how have your competitors innovated? Can this type of innovation still be useful to you? What products or services do competitors offer that are successful? Can you mimic them? What is not working? Is this something you are currently doing? 5. What are people doing in in other industries that can be applied to your Industry? External Innovation Analysis- what are others doing that is innovative in another industry that can be applied to your industry? Can you change the business model of your industry to become more innovative? 7. Do you Need Extra Capital or Resources to Make Growth Happen? How will you raise it? What can you cut, divert or change from your current operations or business model to make this happen? Find the ones that work best for your industry and company. 9. Develop Your Implementation Plan. Your implementation plan should be detailed and should include quarterly goals (financial and growth) and should identify key resources and steps needed to accomplish your vision and get you to your “Magic Number” of growth. Identify the riskiest steps, and develop action items to specific how you will address each item. At some point, you have to start growing your business. The faster you get this point, the faster your business will grow. For most entrepreneurs, this is the scariest, but most exciting part. There are ways to make this manageable. Develop a daily checklist. Do 3 things every day that will grow your business in a solid way and contribute to growing your business based on your Growth Plan. A growing business requires daily infusions and care to push it forward, but not at the detriment of the owner. Business growth needs to be sustainable, responsible but ever pushing forward and upward. Implement these strategies, and watch your business and profits soar. Do You Really Love Your Business? One of the things I never learnt in school was how to be a psychologist. Over the years, I took psychology courses, but with a graduate and a professional designation, neither of which are in psychology, I am very ill equipped to deal with psychological issues or offer any kind of advice. Yet when Entrepreneurs come to me, confused about why their business is NOT growing, why they are stuck, I cannot help but notice their need to talk to someone, anyone who will listen to them talk about their business. Many of these individuals have lost marriages, their families, close friends and relationships all because of their businesses. They are working 60+ hours a week to make their “dream” come true. Then they come to me, tired, miserable and alone and ask, “Why?” Why is this business not working? Why is this not fun any more? We hear so much about work life balance, about taking time for yourself and to spend time with those you love, but we rarely hear about the need to balance your “business” with your life. Many Entrepreneurs got into business because they love with they do. Be it cooking, baking, customer service or programming, you are passionate about a cause and you want to share that talent with the world. Most entrepreneurs are good people who genuinely want to improve the world with their contributions and talents. However, this being said they will sacrifice everything around them for their business. They will ruin their health, their relationships and their Entrepreneurial spirit all for this business.Many Entrepreneurs defensively will say ” My business is my life” or that this “sacrifice” is needed in the early years. To both of these, I say phooey. The sacrifice is not needed and if your business is your life then you need to get a life. Put yourself in your customers shoes. Who do they prefer to do business with, a rested, energetic, reliable individual, or the individual that looks like htey have not had a vacation in 5 years, who is tired, grouchy and cannot balance their family and work life? Who would you do business with? How do we balance the love of what we do with the practicality and time requirement of early start-up? How do we balance? My advice? Love what you do.Here are five ways that “loving what you do” will help you to grow your business and yourself. 1. If you love something, you set it free. If you love what you do, you build it strong enough to survive without you. A business to be successful needs to survive without the entrepreneurs. It needs to have the straighten to stand alone and be independent from you. If you love something you nurture it, you give it what it needs but do not smother it. You give it what it needs to grow, but also the room to grow. As in a relationship, you cannot always be “with” the one you love. Take some time away from your business to do the things you enjoy. This will help you to relax, grow as a person, and then give back more to your business. As with our children, we have to be prepared for the fact that our business will not be with us forever. It may grow beyond our capabilities, you may need to sell, you may need to leave it for retirement or health reasons, but that business will someday leave you. How will you manage after the fact? The best thing you can do for your business is to take care of yourself. If you take the time to nurture the other important things in your life, then your business will also grow, because your business is YOU. If you are tired, if You are cranky and cannot see the forest for the trees, guess what? So is your business, so do yourself a favour and if you really love what you do, then act like it, and please take care of yourself, those that are important to you and you will see how your business will flourish. What Value does your Incubator add? What differences do these entrepreneurial models create in the end company? What metrics should be used to evaluate incubators? MARS recently released a report calling for an IMPACT metric for measuring incubator success. The time has come to measure and demand outcomes. Standards need to be created for education, program and service offering and not just simply seeking the next high tech dollar.